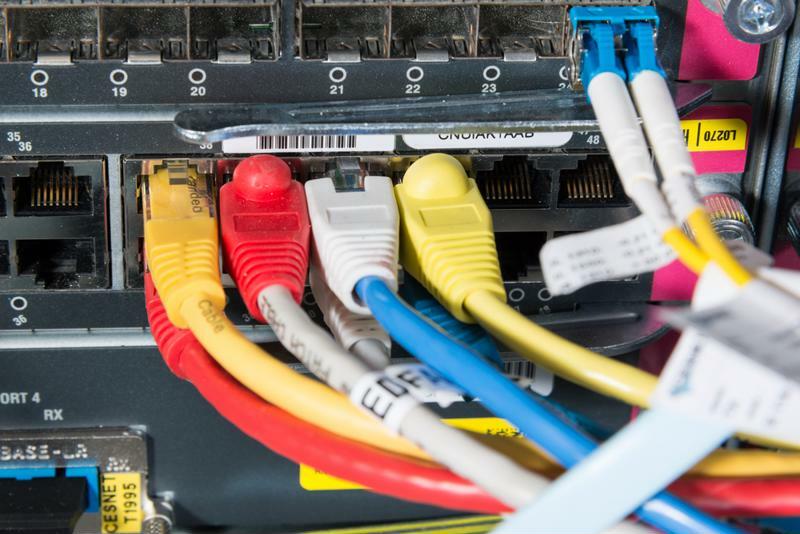 If your data center looks like the one described above, consider adopting some of these cable-management best-practices. Most organizations have no problem managing easy-to-access data center features such as cooling system components and storage arrays. However, when it comes to addressing more out-of-the-way elements, issues often arise. Cables are especially problematic for some companies, TechRepublic reported. In some data centers, information technology personnel must wade through forests of electrified tendrils to perform routine server maintenance, risking data loss with each step. Label every single cable inside your data center. This time-consuming, yet relatively simple, exercise will make managing and testing your storage arrays easier. Of course, before you can apply tags, you have to come up with a labeling system and document it so that others know can replicate your method when new equipment rolls through the doors. Businesses with these cable organization methods normally use Microsoft Excel or other common programs to keep track of their labeling conventions. If you want to take things to the next level, think about color coding your cables. This will simplify the documentation process and keep you from having to print thousands of tiny labels. Plus, visitors will appreciate the eye-catching artistry of such a scheme. Labeling your cable will make sever management easier. Though it's acceptable to run server cable below raised flooring or store it in other accessible locations, you might consider moving it overhead, TechTarget advised. This method will keep your cable cool and eliminate the possibility of someone accidentally disconnecting a server and causing data loss. However, you can't simply shove all of your wires into an overhead rack. First, carefully inspect the area and look for any features that might need to be removed before you install your cable. You will also need to clean the area, preferably with a vacuum with HEPA air filtration. When it comes time to relocate the your cables, be sure to lay them so that they are parallel to the air flow generated by your air conditioning units. Of course, you can't just put up your cable and forget it. To keep your data center running at maximum efficiency, occasional cleanings are required. FirstTech offers data center cleaning services, including post-construction options. Our specially trained experts can rid your spaces of contaminants, dirt and dust that could effect your network performance. Contact us today to get more information.